Here's where I'll store stuff I do online, or on the computer to be exact -- with my trusty Adobe Photoshop, no less. Mostly will consist of works that you can't find on my other sites, or at Lovely Designs, really. If you want to see more webworks of mines, then your best bet is at my graphics site. Due to file size and quality problems, most of the webworks are actually bigger than you see them here. 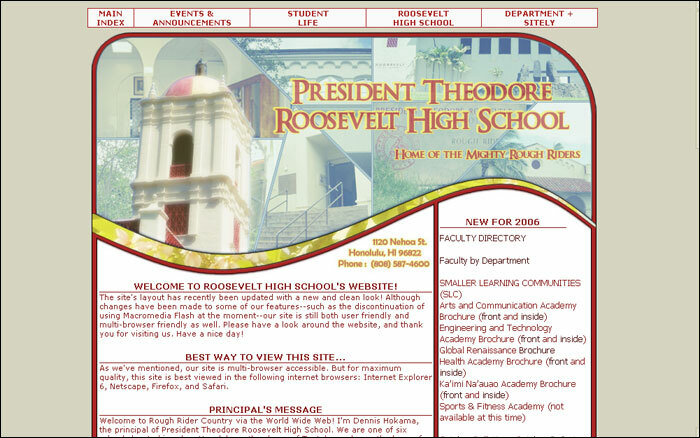 Comments: The layout I made for my high school's website! For me, this was a very big thing to accomplish. This was a bit of a challenge for me, since I mostly work with using game and anime images. So I definitely found this to be a great experience. I had my peers and supervisor (our web team that manages the site) critique my design, I made several changes from their feedback, converted the site to using PHP, rebuilded some of the webpages, fixed some errors along the way... This "project" lasted for around 3-4 months. 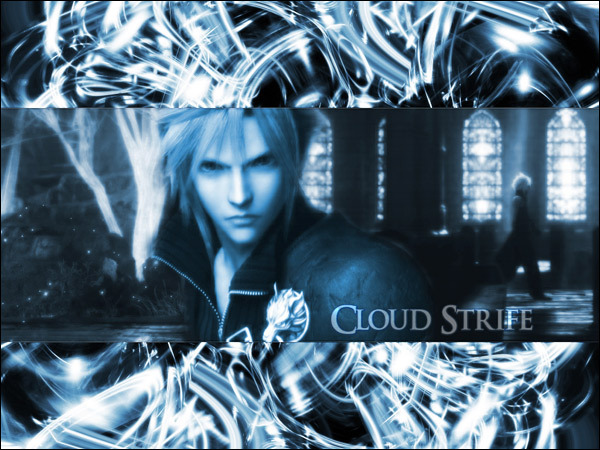 Comments: A desktop wallpaper featuring Cloud Strife from Final Fantasy VII: Advent Children. Abstract art was placed on the sides that Cloud is not featured in. Sort of reminds me like how you'd see a wide screen-fitted movie on a full screen TV. I really love how it turned out; Cloud is a very handsome fellow. Comments: Parts of the work have been blurred to protect my friend's name and face, please note. Anyways, this was basically a small poster to help my friend (from school) win the position as a Senator on our Class of 2007 student council. I used one of my abstract arts for the background, too. It turned out very nicely, I must say. It was one of the more flashy flyers people were using. 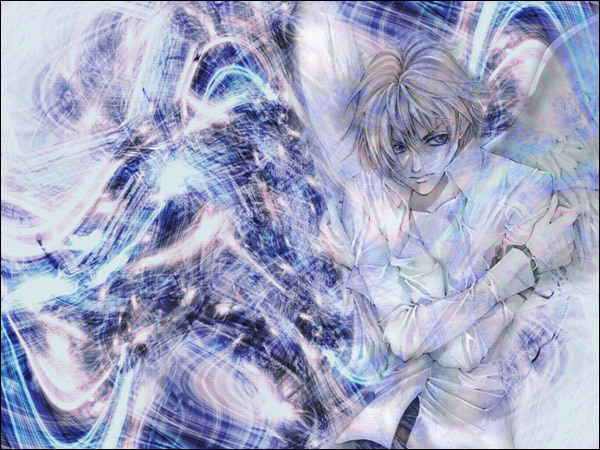 Comments: I was really into the whole Serena/Darien love when I made this wallpaper. I even stalked fanfics on Fanfiction.net related to the two lovebirds. 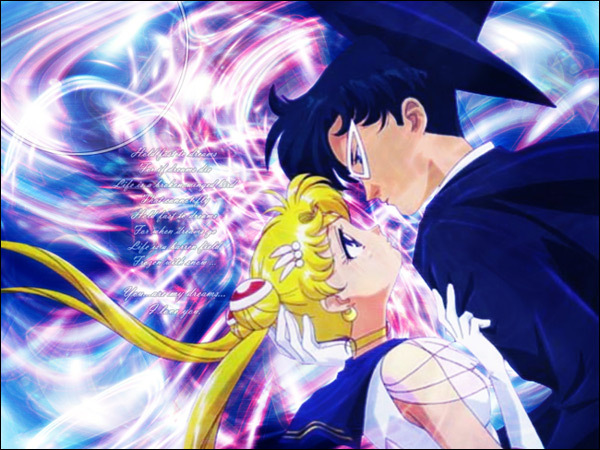 I'm a huge supporter of their romantic relationship--it's cute and I think they're perfect for each other. And when I saw the picture of them together (in the featured work), I felt that I just HAD to make this wallpaper.